It’s true, the American car companies are still in a slump. Sales are down and confidence in American manufacturing is rising much slower than the manufacturer’s would like. But recent improvements to several models have began a slight rise in sales and given a much-needed boost to the slumping market. The addition of new technology, better fuel efficiency, and better amenities have given many of the best American cars a shot in the arm. After checking research from Car and Driver, Consumer Reports, Edmunds, and Motor Trend, we’ve found out which models can truly be called the best American cars of the 2010-2011 model years. A four-cylinder and two six-cylinder engine choices highlight the Fusion, but no matter which you choose you’ll get an engaging sedan with a smooth, comfortable ride and cabin features that provide both technology and functionality. At 16.5 cubic feet, trunk space is at a premium, and the split-folding rear seat enables that space to increase for longer items. Ford’s Sync system seems to get better every year, incorporating Bluetooth functionality for voice-recognition and hands-free operation of cell phones and mp3 players. Fuel efficiency on the V6 model is also admirable at 20/28 mpg (city/highway). 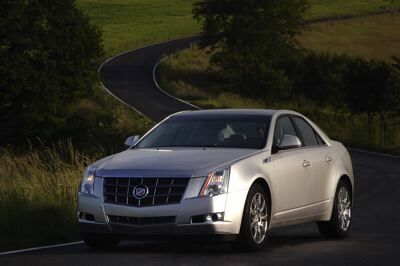 Despite its boxy look and weighted size, the CTS is remarkably agile through corners. Suspension is slightly stiffer than past Cadillac models, owing to the FE2 and FE3 sport suspensions. Those accustomed to the cloud-like feel of earlier Caddies may find this one a little harsh. There are two V6 engine choices, the 3.0L and the 3.6L, either will provide you with more than 270 horses at your disposal, and AWD is also available. Being a Cadillac, the base model remains fairly luxurious, however there are two levels of Luxury package to add on if you really want to feel pampered. There is also a performance trim for if you like that sporty feel. 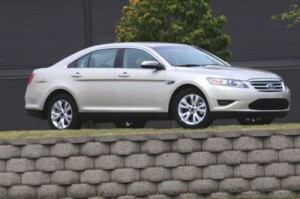 Jumping up to full-size, the Taurus follows in the footsteps of its little brother, the Fusion. Handling is stable and secure, and the ride remains nicely quieted from the outside world. The SHO model will tack on some extra price, but it also tacks on some added horsepower and a firmer suspension. For those not looking to spend the extra dough, the standard V6 provides ample acceleration and admirable fuel efficiency for a V6 at 18/28 mpg. AWD is an available option, but will bring the fuel economy down to 17/25 mpg. High seats and a raised center console, coupled with a sleek roof, can make the cabin more confining than it really is. 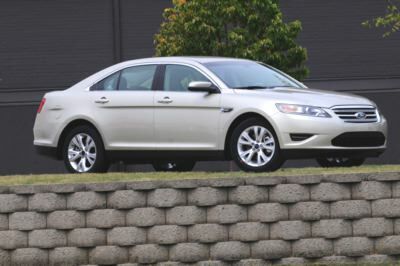 The 2.4L four-cylinder is still the standard engine for the LaCrosse, but the 3.0L V6 has been replaced by the stronger 3.6L V6 for the 2011 model year. 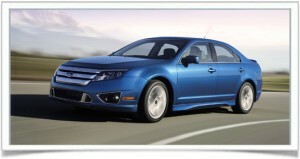 All models feature a six-speed automatic transmission, but AWD is available as well. Rear visibility is slightly compromised by the high rear deck, but the overall driving experience combines a blend of luxury and comfort. Handling is confidently responsive and the cabin remains stunningly quiet. Trunk space measures out at 13 cubic feet, which is disappointing for a car of this size, but overall amenities should make up for the lack of storage.